I must confess, I have found a new love, and that love is Greek yogurt. It’s like being able to eat a bowl of cream cheese without getting strange looks from your roommates. Seriously, between this and Gyros I think the Greeks may be making the best food around, right behind they guy who created the mini-burger sliders at Chili’s. Let me rewind a bit, on a recent trip to the grocery store I was offered a scoop of the thickest yogurt I have ever had. They offered me a coupon so I figured I would buy some, however I found that this brand, Fage, was about 4 times as expensive as my regular brand. Put off by the high price, I went home empty handed. Later that day I researched the brand of yogurt further and found it’s called Greek or strained yogurt. It turns out Greek yogurt is just a fancy name for yogurt that has been separated from its whey, which yields the very thick creamy texture. 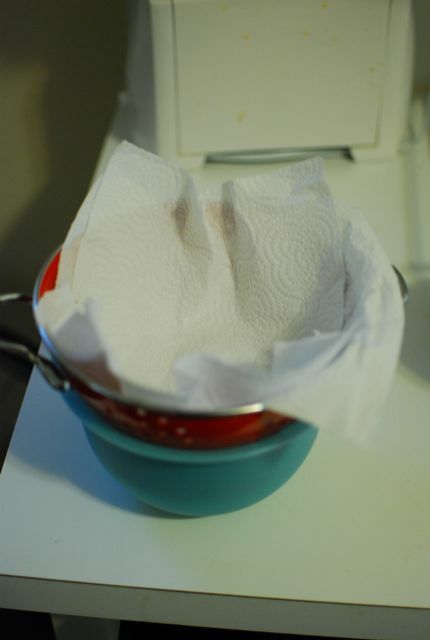 Setup your bowl, colander, and paper towel like you see below, I doubled up the paper towel but it didn’t seem to make a difference. 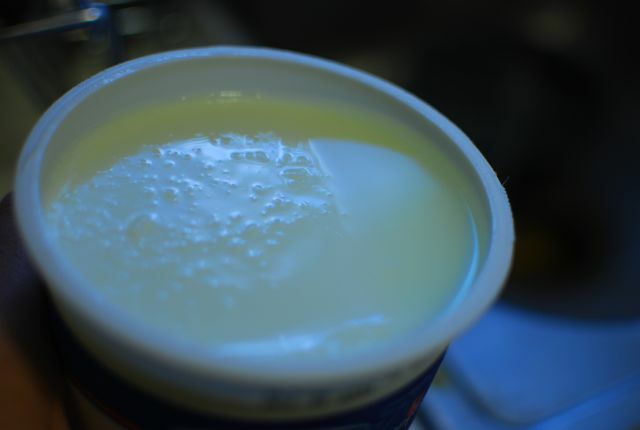 Anyone who has opened a container of yogurt has probably already seen this. 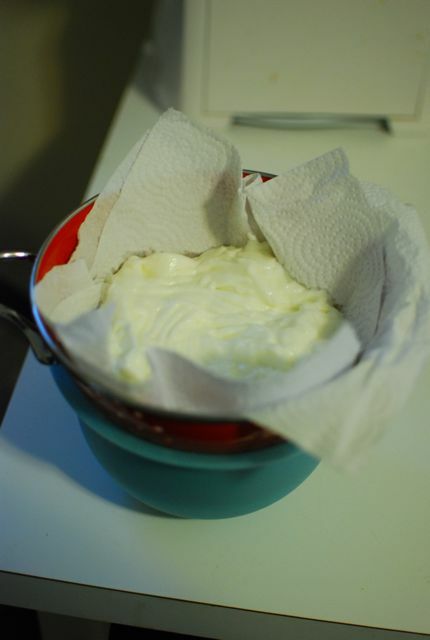 The clear liquid on top is the whey, and it’s the only thing standing in your way of awesome Greek yogurt. 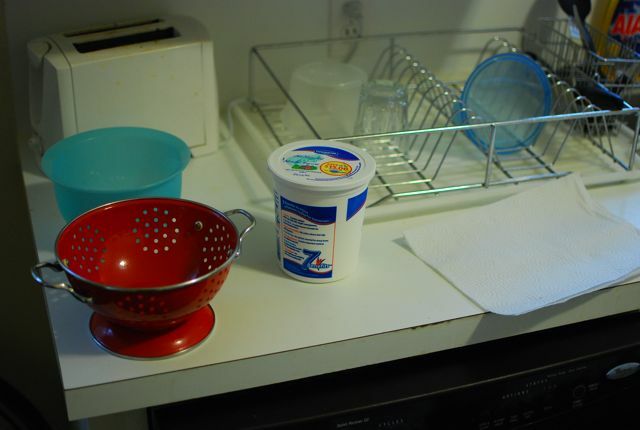 Pour your yogurt in the colander and place the whole assembly in the refrigerator over night. The next day you will be rewarded with a colander full of Greek yogurt, and a bowl full of whey. It seems like a waste to throw out the whey, but I’m not sure what else to do with it. 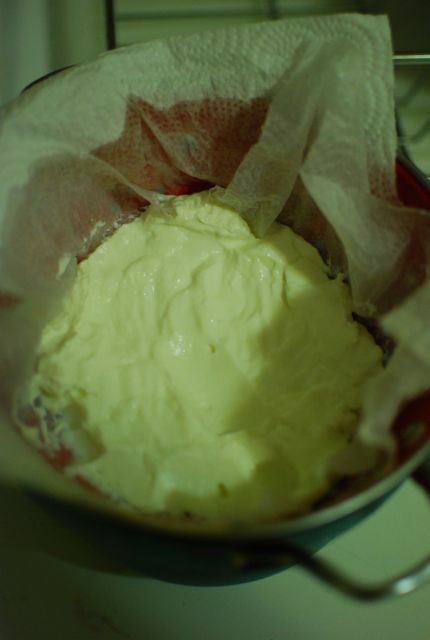 If you know of any uses for whey that are not gross, feel free to leave me a comment. 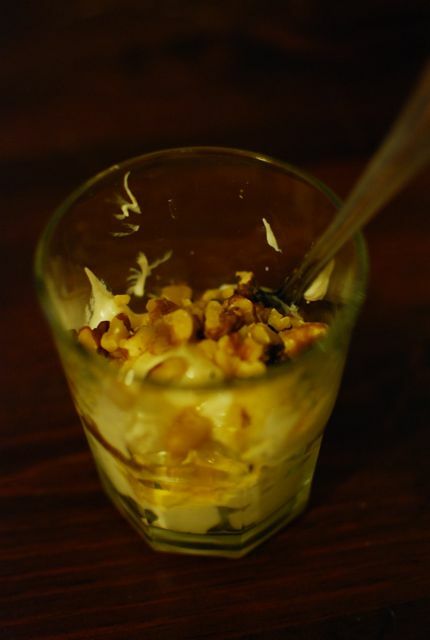 My preferred method of enjoying Greek yogurt is topped with honey and some crushed walnuts. 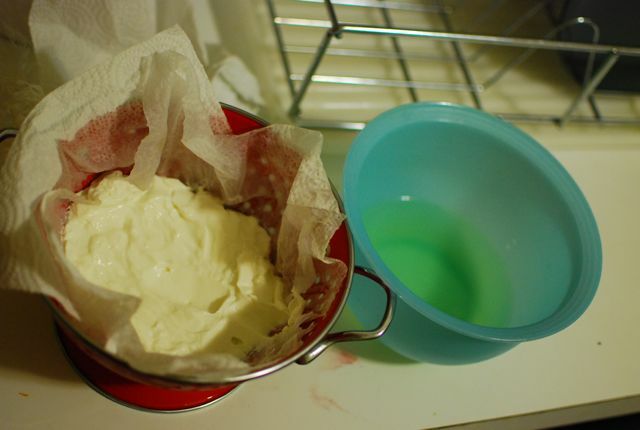 I was originally planning on making my own yogurt, using milk and a little bit of yogurt as a starter. However my desire for instant gratification dictated store bought. Also David Cross thinks it’s cheating to make yogurt out of yogurt. It’s your call.